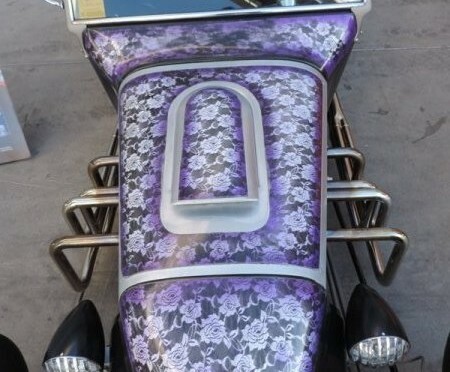 Here at Route 66 PubCo we love lace paint jobs. 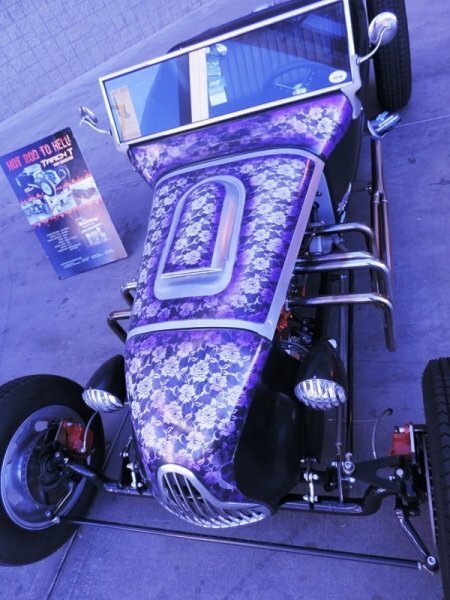 Any car show that has a car with some lace paint is worth the trip! 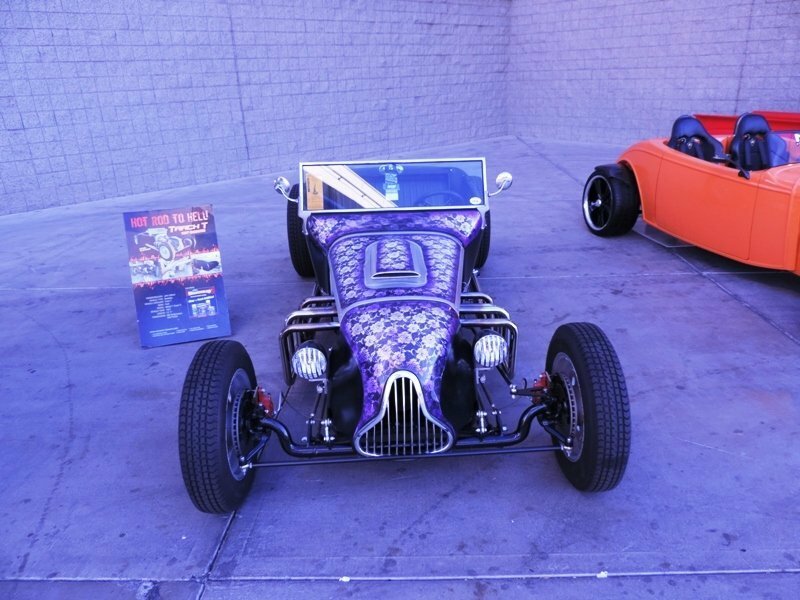 We’ll see some at a Goodguys Rod and Custom Show and once in a while at a local event, but this year at SEMA we saw an awesome full on example with an interesting twist. Lace paint is a dying art form but there are still some old schoolers laying down some lace and painting the cars. 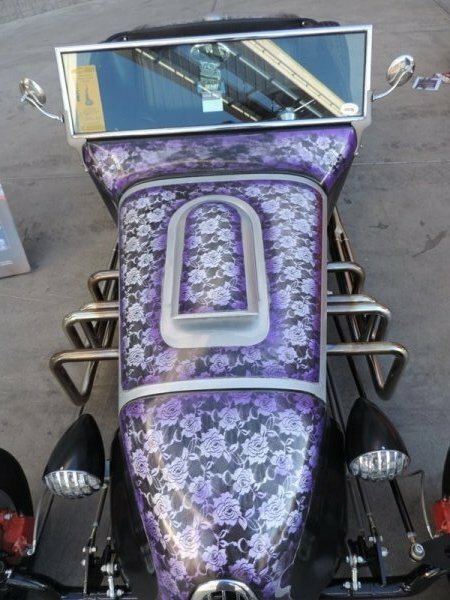 Traditionally a lacey fabric would be stretched tight across a body panel, frequently the roof, and the paint sprayed down through the lace. When the paint dried and the lace pulled off, the intricate lace design would remain on the panel. Wicked cool we say. 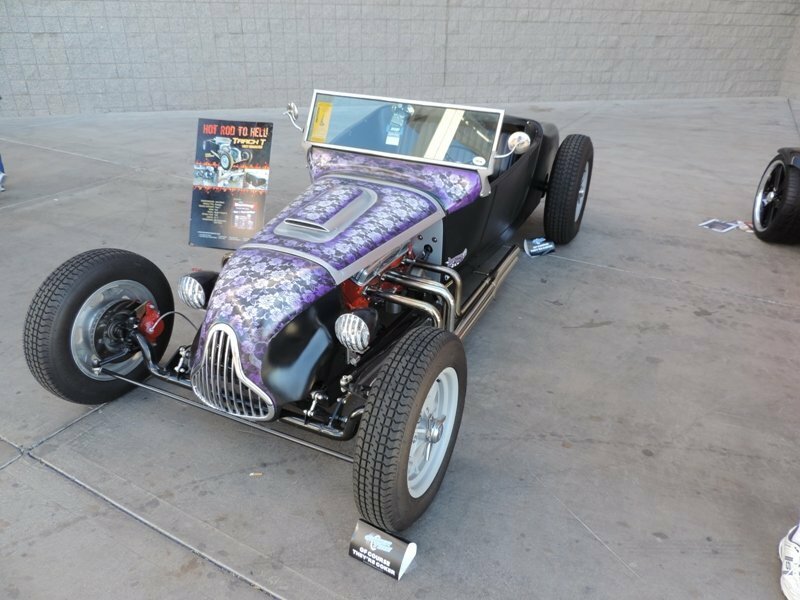 At this year’s SEMA Show we saw this venerable 1927 Track T from John Gilbert. The track T was sitting outside the North Hall and plenty of people rushed by in a hurry to see the indoor exhibits and keep their appointments. But they missed a chance to pour over a true legendary car, just taking a break outside. John probably has forgotten more stuff about cool cars than we’ll ever know and he showed his licks on the roadster. Using spray cans from Eastwood he put down this rubberized elastic wrap that was just a temporary paint job on the Track T.
ElastiWrap™ is a unique strippable rubberized coating that can be easily applied over most surfaces and can remain in place indefinitely or be removed by simply peeling off. It comes in spray cans or in large cans as needed. ElastiWrap is durable and holds up well in the scorching sun. And because it is treated like a paint, it can be any color or tint you desire. 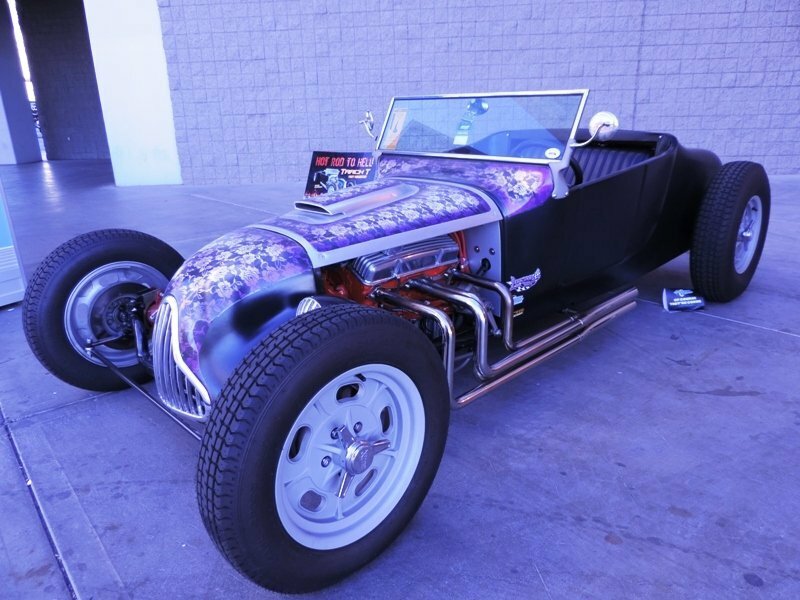 The roadster measures just over 12 feet and has a GM crate 350 engine with a TH350 automatic. The car just looks cool. Gilbert writes for a variety of magazines and the 27 Ford has been featured in several. Here is a short video from Eastwood where John explains the process of painting this wicked lace paint job. What do you think?